In the basement of the Old Gym, Marquette’s men’s tennis coach Scott Rodecap reclines in his office chair as he discusses the upcoming tennis season. His desk contains items that any ordinary desk would have: a laptop, some writing utensils, and a few stacks of paper. 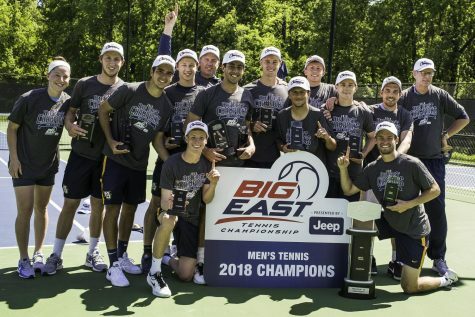 The one outlier is the BIG EAST Conference Runner-Up trophy from the last season that sits on the right corner of the desk to serve as a reminder to the players that there is unfinished business that needs to be attended to. 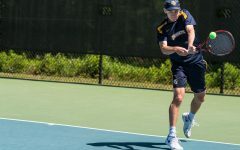 “This group has been putting in a lot of good work early,” added Rodecap, who is entering his thirteenth season as the men’s coach. 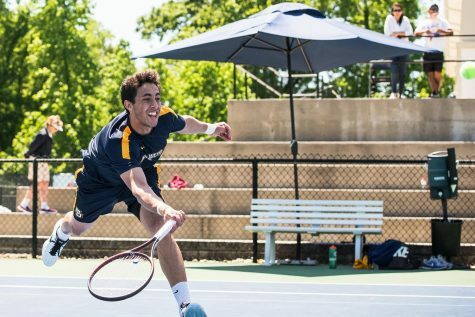 Last year’s trip to the BIG EAST Championship was the first in the history of the men’s tennis program. Rodecap and the rest of the team learned a valuable lesson from that experience. 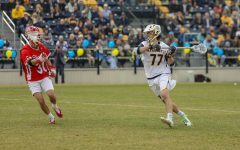 With that message in mind, seven members from last year will be returning this year for the Golden Eagles. 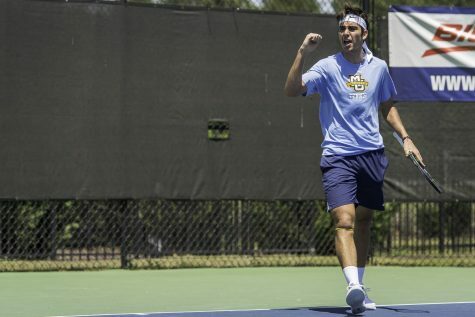 Included in that group is Fernandez, who finished the year with a 19-11 overall record and was an All-BIG EAST selection and named team co-MVP. 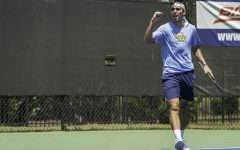 Also returning to the Golden Eagles is junior Kristiyan Trukov, who won a team-high 23 singles matches last season and earned an All-BIG EAST selection along with team co-MVP. 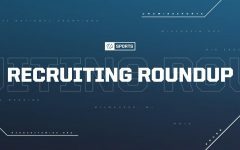 Even though the team has only been practicing for a week, both Fernandez and Rodecap have been pleased to see how quickly everyone has come together. 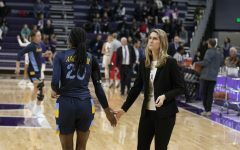 The key to the Golden Eagles’ chemistry has been the blend of leadership styles certain players bring to the team. 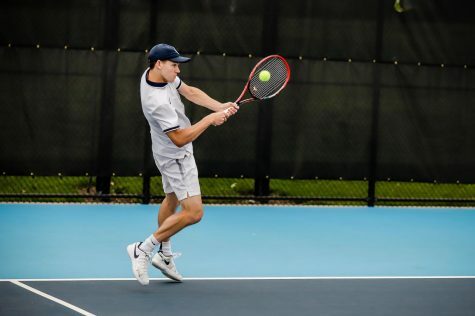 For example, Fernandez is known for being a vocal leader and showing his emotions on the court, while junior Nick Dykema is quieter and leads by example. 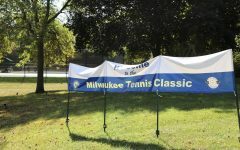 As his team gets ready for the Milwaukee Tennis Classic this weekend, Rodecap said he would like to see improvement with the mental aspect of the game, with his players focusing on controlling what they can and worrying less about what they can’t control. 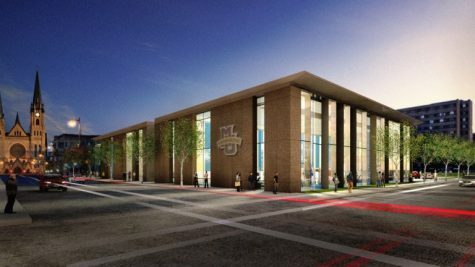 Just a few doors down from Rodecap sits the office of Marquette’s women’s tennis coach Jody Bronson. Bronson’s office is decorated with pictures of former players. 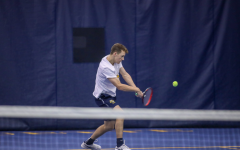 As she prepares for her 31st season as the head coach of the Golden Eagles women’s tennis team, she tells a story about how a few weeks ago a former player stopped by her office to introduce Bronson to her daughter, who is now a freshman at Marquette. 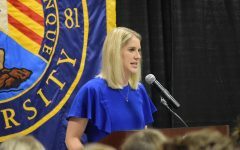 During her time as head coach, Bronson has found a formula for success. 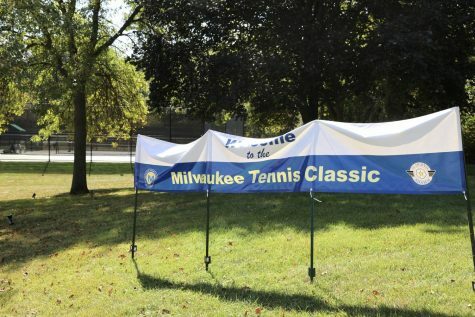 For the past eight seasons all of her teams have finished above .500, and 19 out of her past 30 seasons the tennis team has finished the year with a winning record. 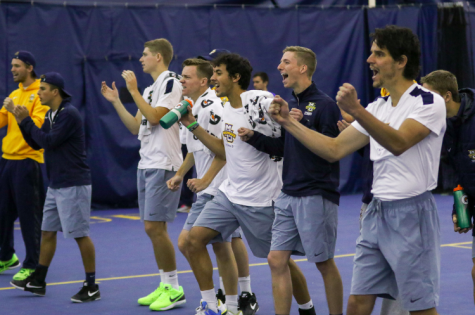 In addition, for the past two seasons the Golden Eagles have made it to the BIG EAST Championship tournament semi-final match. 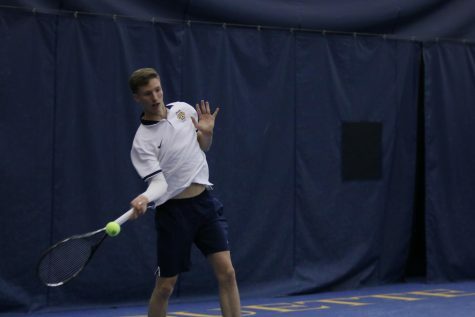 Last season, the Golden Eagles came out of the gate firing on all cylinders with six straight wins, but began to falter in March when they dropped eight of their last 11 regular season matches. 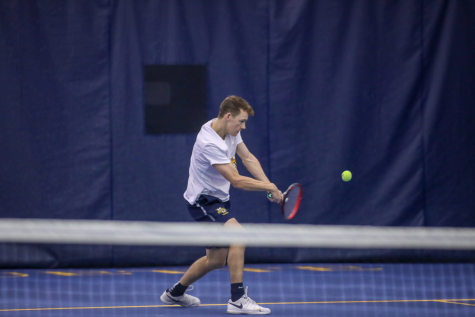 This year’s team will face several challenges of their own, including the three freshmen adjusting to Division I college tennis and having to create all new doubles teams. 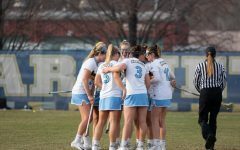 “You have to learn to communicate with your partner,” said senior Erin Gebes on getting a new partner this year because Ana Pimienta, Gebes partner last season, graduated. 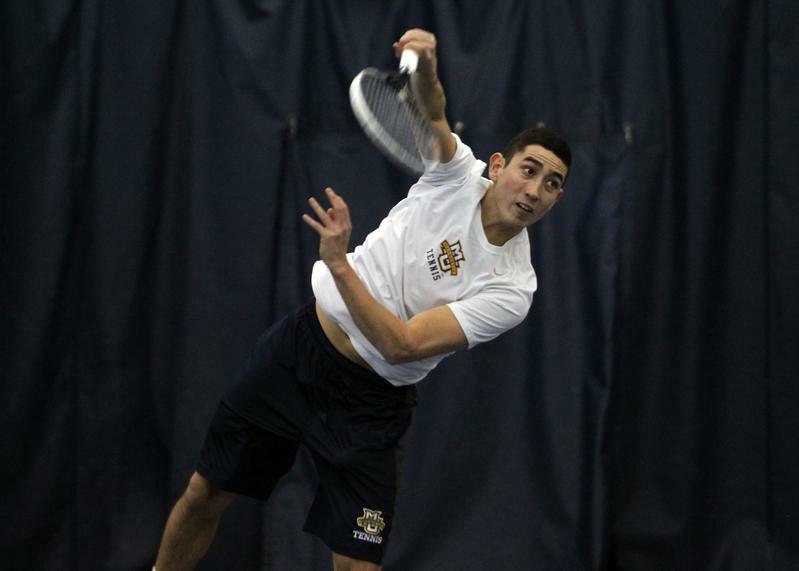 Gebes compiled an overall record of 13-9 playing in the second and third singles positions and first doubles. 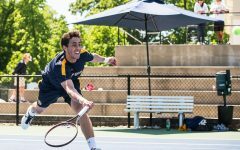 There is a sense of confidence surrounding the women’s tennis team as they prepare to begin their season.